Startup Eos Energy, which has been building a low-cost grid battery using air and zinc, is ending out the year by going back into fundraising mode. According to a filing, the company is starting to raise another $30 million round, and has closed on $2.5 million of that. Eos Energy, founded in 2008 using a tech breakthrough from founder and inventor Steven Amendola, has just started to get its pilot batteries into the hands of some utility customers. The company sent its first grid battery system to New York utility Con Edison, it’s testing products with DNV GL, and it says it has secured European energy giant GDF SUEZ as a customer. In conjunction with Con Edison, the partners are using a state grant to install batteries on the New York grid. Scientists have been working on using air as the cathode for batteries for half a century. A battery is made up of an anode on one side, a cathode on the other and an electrolyte in between. Air is a desired cathode for a battery because it is abundant, lightweight, doesn’t require a heavy casing to contain it inside a battery cell, and theoretically can achieve a high energy density, or amount of energy that it can store. Eos Energy has developed a bi-directional air cathode that it says can last for 10,000 cycles (around three decades), with initial costs of $160 per kWh, and can be made up of everyday benign materials. Eventually the company is shooting for its batteries to cost closer to $100 per kWh. The funds will presumably help the startup scale up its battery tech and get it into the hands of more potential customers. 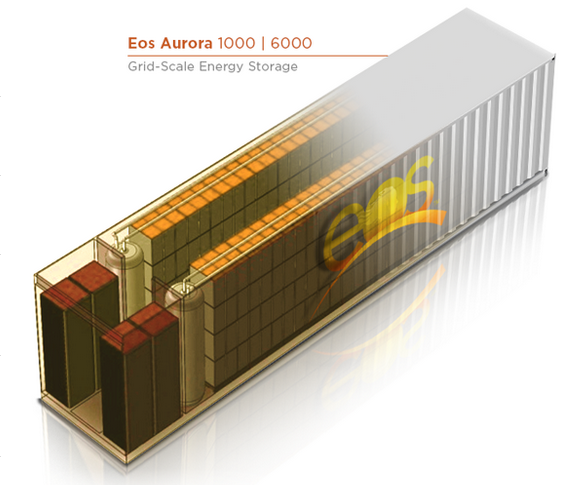 While Eos Energy is currently shipping some smaller pilot batteries (kW scale), in early 2015 the company is expected to announce MW-scale batteries that will be available commercially in 2016. Earlier this year Eos Energy announced it had closed $15 million in funding, in a round led by AltEnergy and including NRG Energy. That was the “first closing” of its Series C round. Eos Energy is one of a handful of battery companies looking to build the next generation of batteries for the power grid. 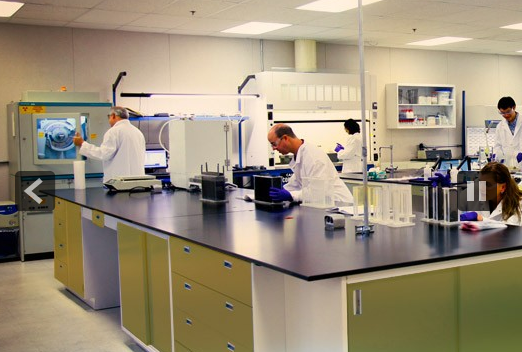 Others include startups like Aquion Energy and Ambri, flow battery makers like Primus Power and Imergy, large battery giants like AES Energy Storage and Panasonic, and even electric car maker Tesla.